I did this mani ages ago after being inspired by a mani by Rainbowify Me where she used Dance Legend Steel Panther and leadlighting. Steel Panther is such an amazing silver scattered holo, I love how dense it is with holo particles. 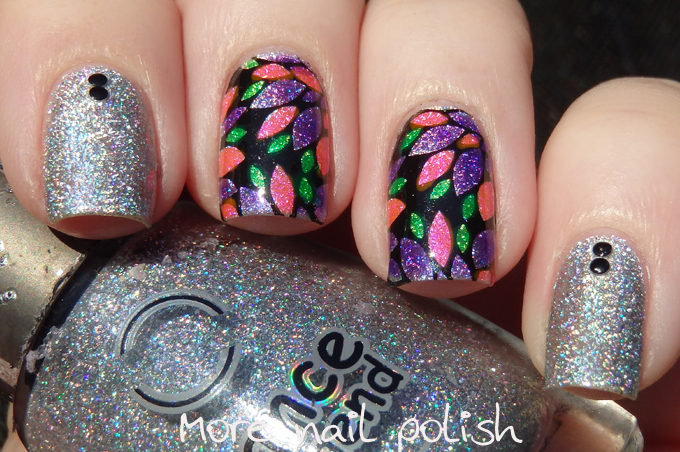 I used a Messy Mansion plate for the stamping and Dance Legend Aquarelle top coats for the leadlighting. Really nice! I've been trying to get my hands on steel panther forever, but it's always sold out. 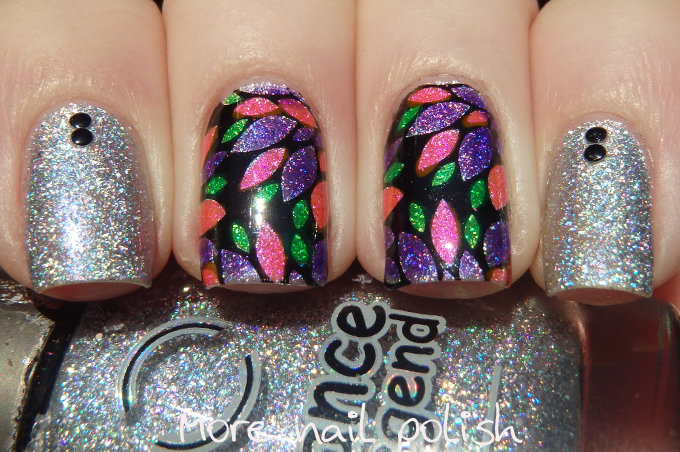 Rich holo and so lovely lead lighting! Love it!